Take me to the top with competition training! Those of you who are keen to make dancing your chosen sport (Dancesport) can take your dancing to a whole new level. At UCan2 we aim to train our competition dancers to international standard. We have an unrivalled history of taking dancers from beginner class right through to the top competition level where they enjoy success in New Zealand and around the world. There are frequent competitions in New Zealand, and for those who aspire to reach goals beyond their backyard, there are many excellent competition events in our nearest neighbours - Australia and Asia (to where our dancers travel to compete). Private lessons are required and the UCan2 Training Squad (by invitation only) offers in-depth technical training. Note: Sometimes our Training Squad and Practice Sessions may be swapped around (ie. class on Sunday and practice on Wednesday), but we will keep you informed! Here's an interesting clip from Pure Class on how to be sure that your Tail Suit fits well. The WDSF Dancesport Academy has a very interesting series of mini lectures with more coming out all the time. Check it out! 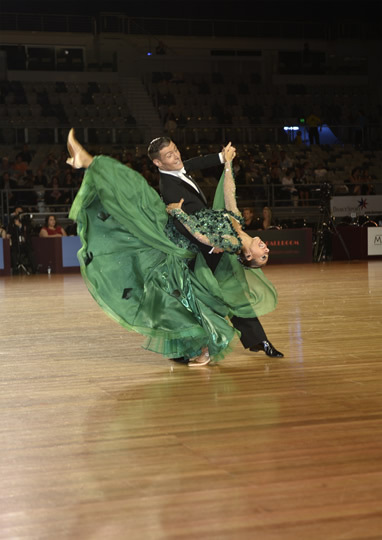 Make sure you take time to read the Dancesport New Zealand Rules & Regulations. All the information you require is there.